Kota railway division of the West Central Railway was formed on 1 April 1952 as part of then the Western Railway. It is one of the most important divisions on the western route of Indian Railways. It has total 93 stations of different categories. The important stations of this division are Kota Jn of A-1 category, Bharatpur Jn, Sawai Madhopur of A category and Bundi, Bhawani Mandi, Gangapur City, Hindaun City, Ramganj Mandi of B category stations. Total route and track kilometerage of Kota division are 896 and 1971, respectively. This track is also supported by total 2190 bridges of all dimensions. 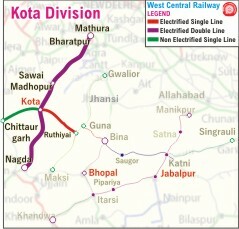 The geographical extension of Kota division spreads mainly in the state of Rajasthan with some parts lying in Madhya Pradesh and Uttar Pradesh and on the map of Indian Railways is Nagda (excluding) - Mathura (excluding) double line electrified BG Sec; Kota - Ruthiyai (excluding) single line electrified BG Sec. ; Kota - Chanderiya single line non-electrified BG Sec. The important ongoing works falling in Kota division are doubling of Bina-Ruthiyai-Kota Sec. (282 Km.) and electrification of Kota – Chanderiya sec (164 km). The division have an Electric Loco Shed, having the holding capacity of 231 locomotives for the maintenance of electric locomotives at Tughlakabad. There are one Carriage and Wagon depot and one ROH depot, both at Kota for routine overhauling of carriages and wagons. 7 Mail/Express and 2 Passenger trains originate from Kota division. In financial year 2015-16, total passenger and freight earnings of Kota division stood at Rs. 329 cr and Rs. 771 cr, respectively. The main freight earning of Kota division is from fertilizer and cement clinker which is loaded at Modak, Bhora, Lakheri and Dadh Devi sidings. The work force of Kota Division is 14143 (as on March 2017). The administration of division also runs two primary railway schools at Gangapur City and Kota workshop and one middle railway school at Kota and one higher secondary school at Gangapur City. Sawai Madhopur of this division has been awarded with the Best Tourist Friendly Station Trophy of Indian Railways in 2016. The walls, pillars and ceilings of Sawai Mahopur and Bharatpur stations are decorated with beautiful, picturesque paintings of wide variety of flora and fauna of the regions. 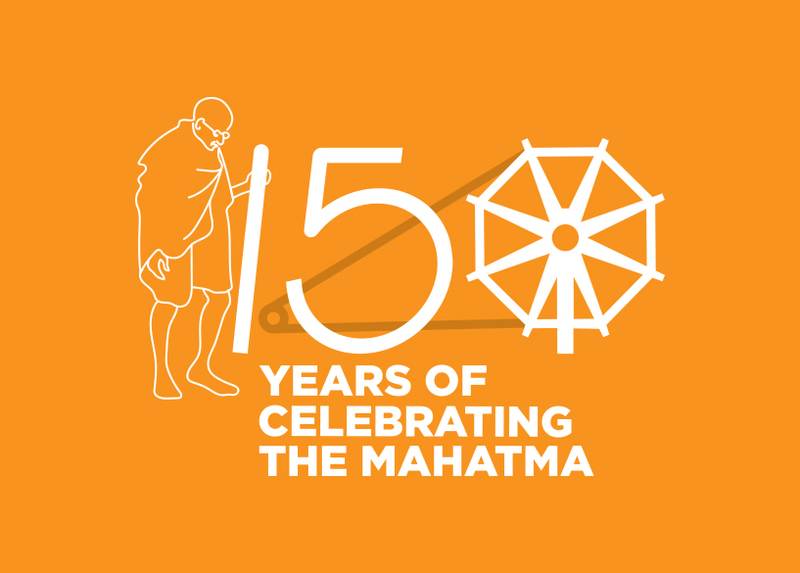 Kota division has many famous tourist and pilgrim spots such as in Kota (Chambal Park, Ranapratap Sagar Dam, Rawatbhata Nuclear Power Plant, Gandhi Sagar Dam, Seven Wonder Park), Bundi fort at Bundi, Ranthambore National Park and fort at Sawai Madhopur, Bharatpur (known for world famous Keoladeo Bird Sanctuary Lohagarh fort, Laxman and Ganga Maharani ji Mandir), Jain temple at Shri Mahavirji and Birla Mandir at Nagda.